This exercise adds additional challenge to The Hundred by adding the weight and width of a large exercise ball to the exercise. 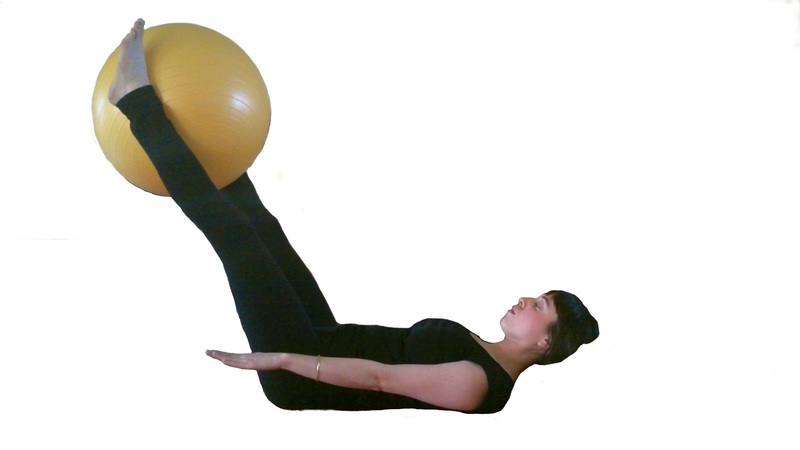 To do this exercise you will need a large exercise ball and a mat. Start by lying on your back with your legs in the air. Place a large exercise ball in between your ankles. Then straighten your legs and take your arms into the air above your shoulders. Inhale to prepare and then exhale to press your arms down towards the mat, lift your head, neck, and shoulders, and lower your straight legs to a forty-five degree angle. Then take five short inhales into the back of the ribcage and continue with five short exhales. Repeat this pattern for ten cycles and then finish by releasing your head, neck, and shoulders to the ground, and bending your knees to bring them to your chest. 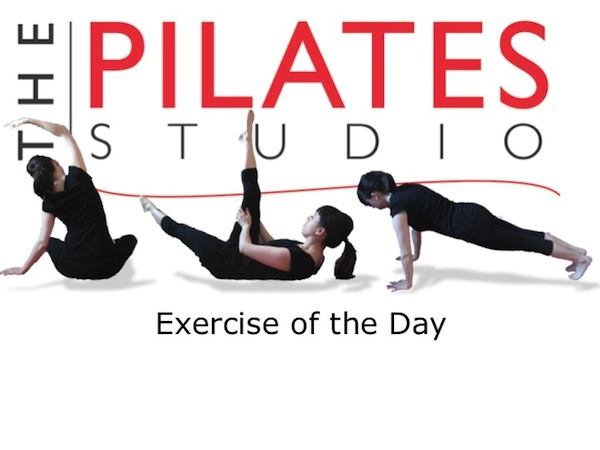 If you have osteoporosis then this exercise is not for you, but feel free to check out The Pilates Studio’s weekly blog, and visit the month of October 2012 for many varieties of Osteoporosis workouts. This exercise is much more challenging than the Classic Pilates Hundred. The added weight of the ball makes the lever arms of the legs much heavier and thus requires that much more abdominal strength. You can work up to the heavier weight by starting with a soft ball, or a pillow. Remember as always no matter what variation of The Hundred that you are doing, the breath of this exercise is key. This exercise is about training your diaphragm and increasing your lung capacity. With each inhale cycle take as much air in as you can, and with each exhale cycle make sure that you are getting all of the air out!